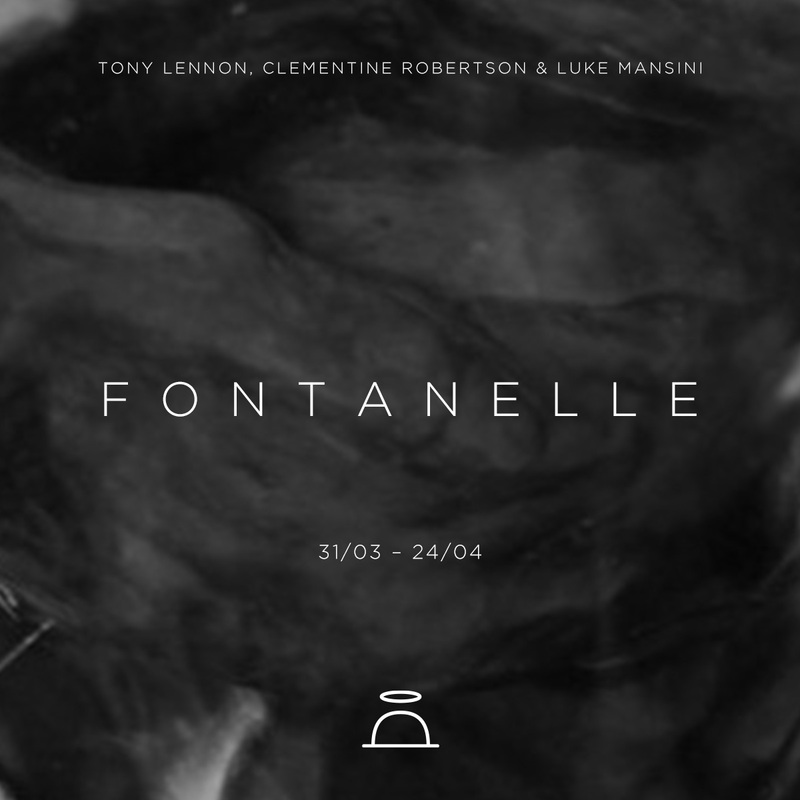 This April Saint Cloche presents Fontanelle, an analogy of the dent in the earth where a spring arises. 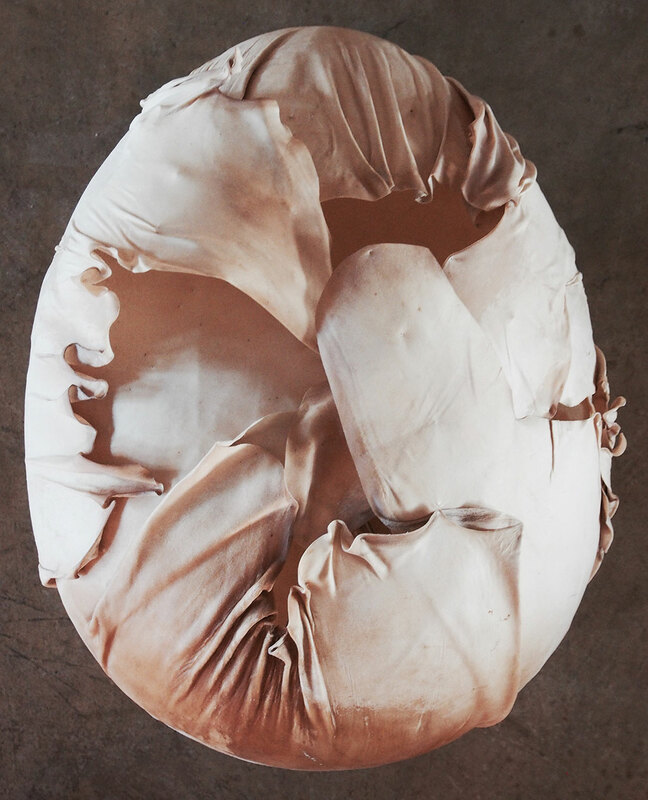 Three artists, Tony Lennon, Clementine Robertson and Luke Mansini will explore the delicate connection between life and death in a mixed media group show. From marble and gypsum deposits that took eons to materialise, some of the world’s most notable sculptures— Michelangelo’s “David,” Rodin’s “The Thinker” — have emerged, their basic shapes roughed out with chisel and mallet, and their fine detail and subtle textures miraculously perfected by the subtle dance of the sculptor’s eye and hand over the outer shin of the work bringing it to life as Pygmalion once did. Perhaps the grandest sculpture of all, the human brain, is shaped by a combination of these basic processes—an early construction of the brain’s bulk, followed by a “roughing out” of the major brain regions, and later, a meticulous refinement of the detail that imparts its unique functions. A fontanelle – the soft spot in the skull of an infant – which before ossification, is malleable to allow for the safe passing of new life through the birth canal. Demonstrates that to be open to deformation and growth, a certain fragility is required. This time of openness is as sacred as it is brief, before the rigid structures take hold, and the fontanelle closes for life. Anthony Lennon is an arts writer, archivist and sculptor. Lennon comes from a long line of great sculptors, miniaturist since the 18th century with their work held in London at the National Portrait Gallery, the Victoria and Albert Museum and the British Museum. Lennon’s great great grandfather Peter Rouw the Younger (1770-1852) also worked for Catherine the Great of Russia and Madam Tussaud. Lennon creates living sculptures from his Blue Mountains home where he is currently writing a book on his unique art practice called ‘orchid penjing’. 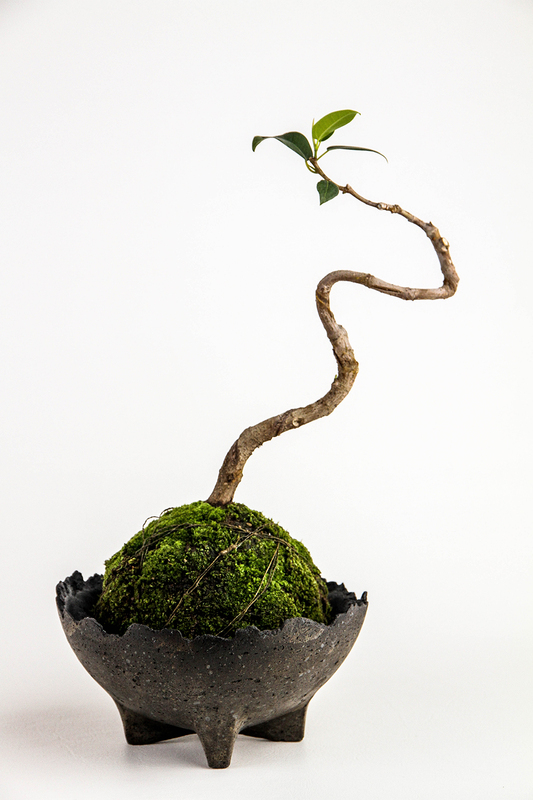 Penjing (garden in a tray) is the ancient Chinese art of growing plants in or on sculptured containers, rocks or fossils. The concept is an extension of Lennon’s show Metamorphoo at the Royal Botanic Gardens in 2012. One thing in nature turning into or appearing to be another: Metamorphosis. 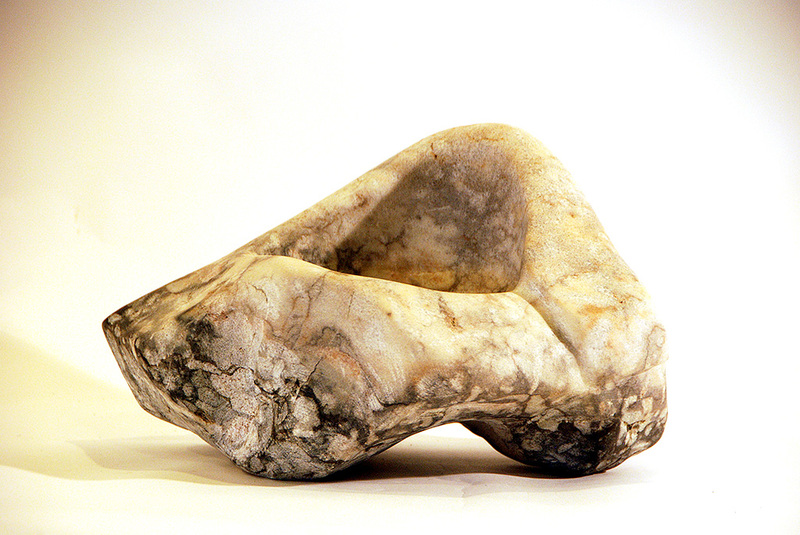 Marble is thus a metamorphic rock made from sea creatures which is carved into other forms. The concept of one thing being another is deep rooted in Lennon’s psyche from the moment he was a boy. Darwin’s Book titled ‘On various contrivances by which orchids are fertilized by insects and the good effects of intercrossing’, provides the basis and inspiration for Fontanelle. Taken from a dried pressed orchid flower ‘Cycnoches’ which appeared first in 1862 on the cover of the first edition of Charles Darwin’s book on orchids, Lennon combines Australian Wombeyan white marble, Yellow Rock (Blue Mountains) sandstone, gold leaf and colour. ‘Fontaine de Jouvence’ the French expression for fountain of youth and the title for this series of work evolves from the idea that a spray of flowers and bees becomes a spray of water. This concept is not dissimilar to the gold orchid image on Darwin’s book . Lennon’s works are here to remind others who purchase them of this fountain of youth and happiness is there for all to drink. This is the Chinese concept of bathing in the chi of nature Ch’i or qi (氣) and most importantly, being a water dragon, Chi in Chinese mythology (螭), is a dragon. Currently based in Australia. 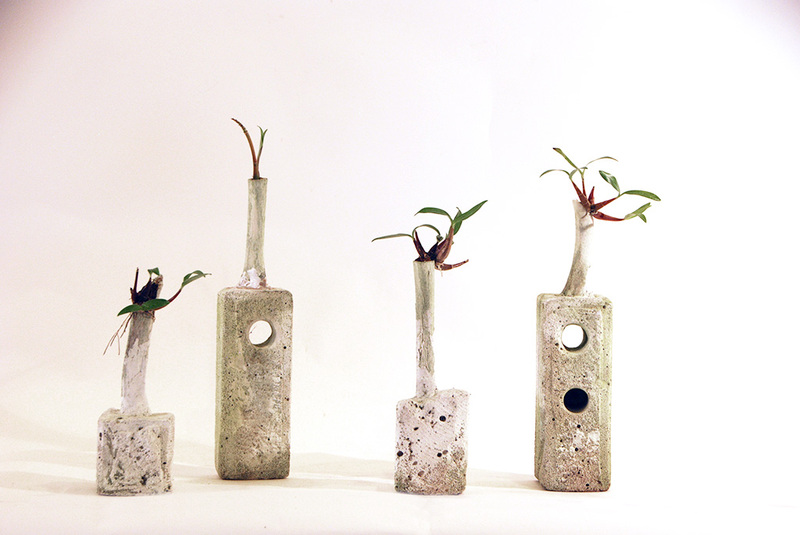 Clementine is a multidisciplinary artist who consciously works with re-cycled and earthen materials (both plant and animal). 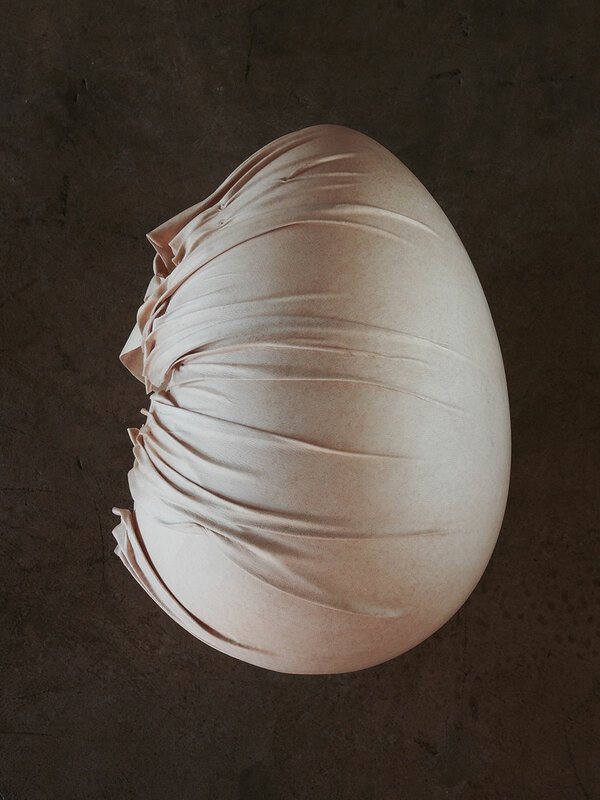 Her practice is informed by the processes of the past, particularly the methods of the hunter gatherer perceived through a contemporary ecological lens. 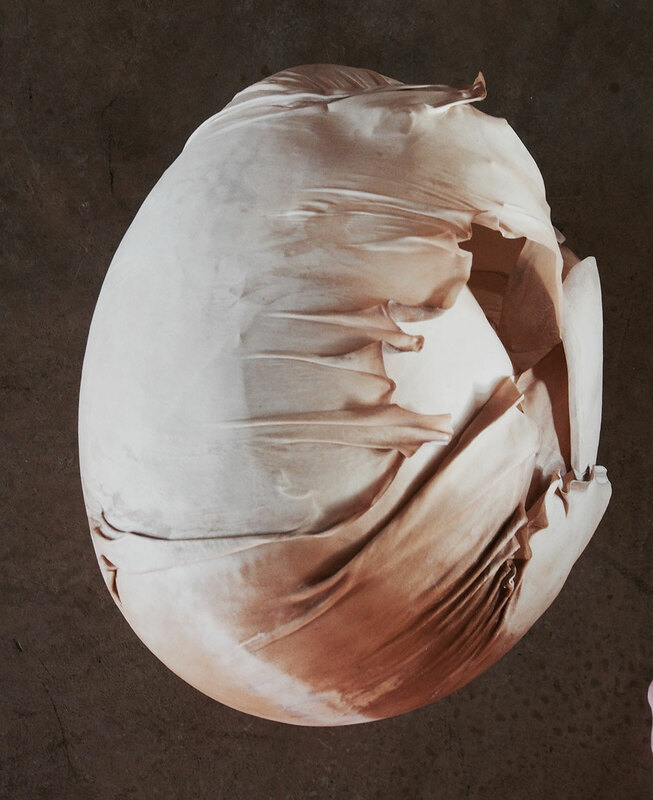 With performance at the root of this practice, having studied theatre and performance design and direction at the Edinburgh College of Art, Robertson endeavours to tell stories that instil an intrinsic sense of curiosity towards the raw and tactile nature of the earth, our more primal spiritual forces as a human race, and the endless possibilities that such a kaleidoscopic lens can present. The first sculpted OO was created for Hermes’ Metamorphosis season 2014/15. Vessels, when whole, what can they do? They hold within themselves that which can be poured out by choice. Form and function … the decorative and the utilitarian. 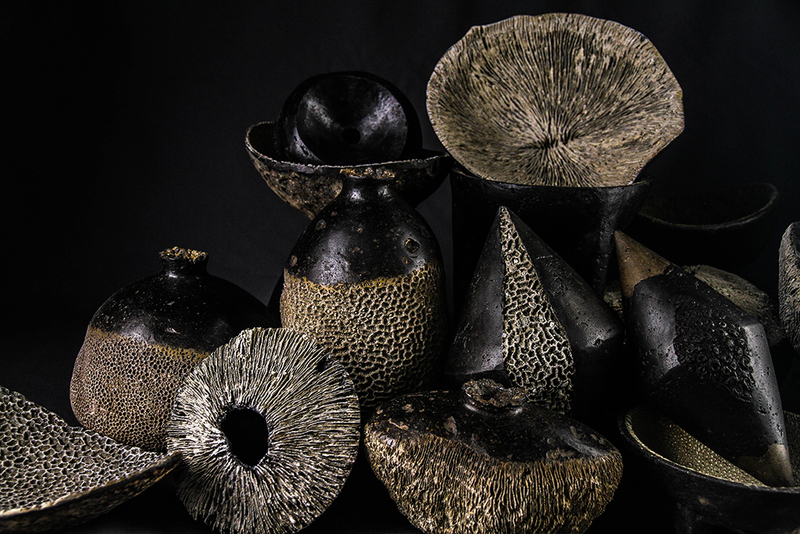 Vessels, once broken, what can they hold within? Nothing. For what pours inside, flows out perfectly, as it is meant to do. An old, used vessel is cast off and forgotten. Battered and tossed aside it lies buried with no hope of recovery until one day it is unearthed and found again. Seen through the artist’s eye the inherent beauty and obvious flaws make it one of a kind. Held in his hands, loved and re-claimed, its life has new meaning. Between a valley and a mountain just outside of Brisbane, Luke Mansini’s Cedar Creek studio sidles right up against the lush rainforest. 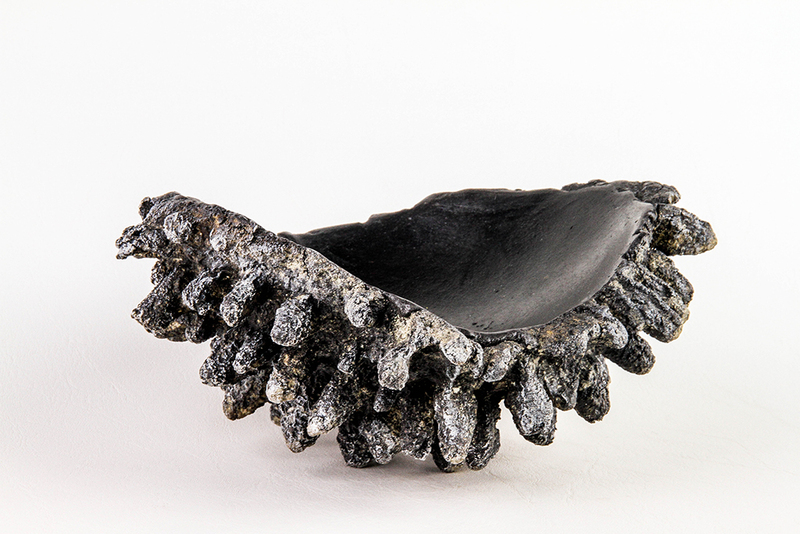 The emerging designer’s passion for his natural backdrop is evident as each design appears to have been pulled directly from the landscape, unearthed and preserved in its natural beauty. 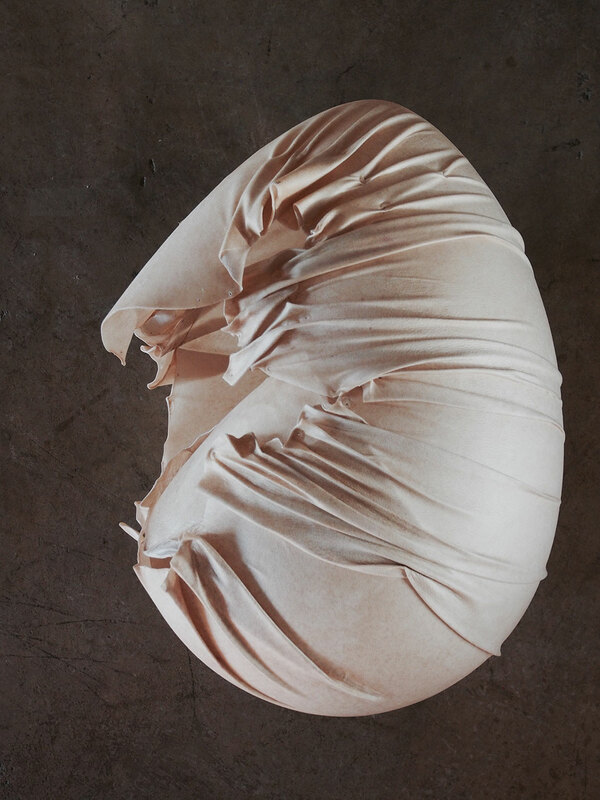 Working with crude materials such as silicone, polymers, concrete, sand and paint, Mansini crafts each sculpture by hand, and no two creations are alike. Biomorphic inspired shapes and textures are transferred from silicone moulds into solid concrete forms with each finished product having its own nuances and characteristics reflecting the chaotic beauty of the surrounds. 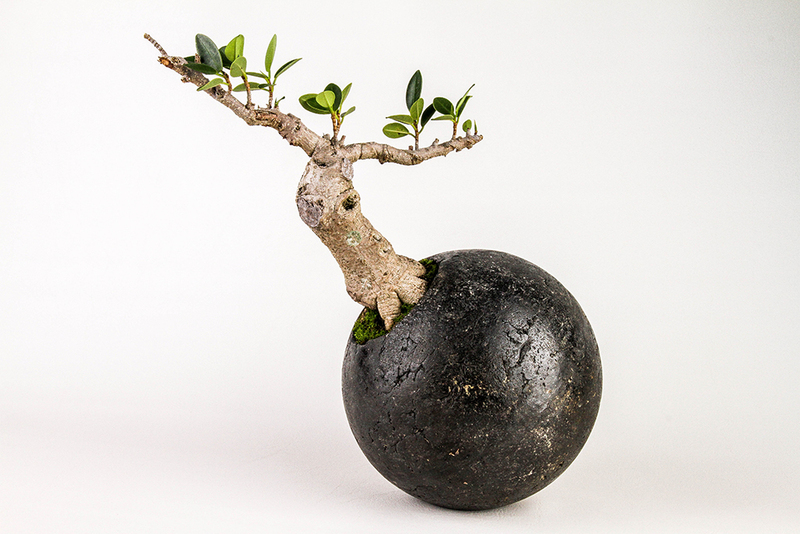 The pieces are able to stand on their own as sculptures and decorative objects or be utilized to hold water, soil and plants. 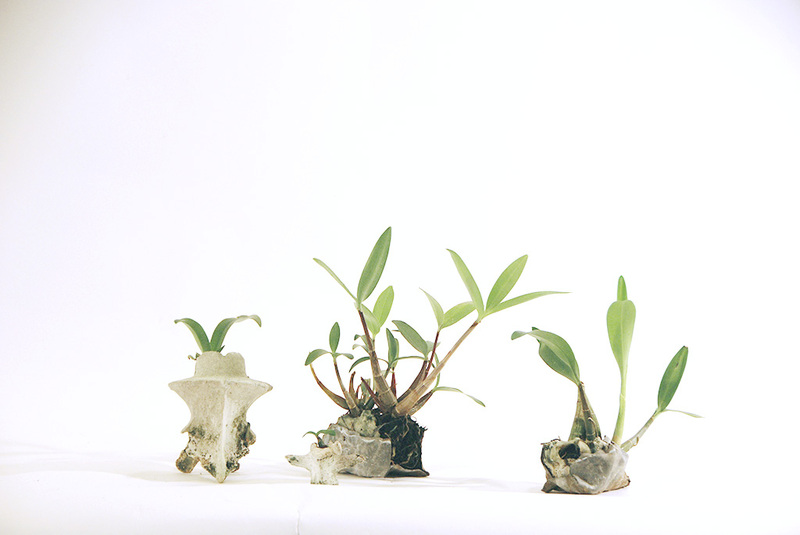 The gallery will also host two half-day workshops exploring Tony Lennon’s unique practice of growing Sydney rock orchids on Hawkesbury sandstone, living sculptures which he calls ‘Orchid Penjing’. 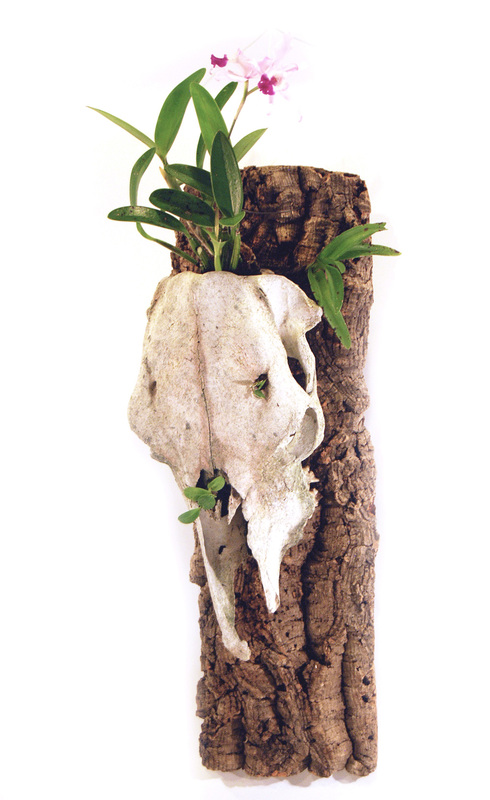 During the workshop Tony will share his passion, methods and intimate life time knowledge of orchids and their hosts.